Fiji Football Association chief executive officer Mohammed Yusuf praised the effort of Fiji Primary Schools Football Association in developing the football in the country. Speaking during the opening of the Vodafone Fiji Primary Schools IDC in Nadi, Yusuf said primary school teachers had played major role in developing football. “More than ten years back when there was no development work by Fiji Football, it was this organization that brought in stars of Fiji with the likes of Ivor Evans, Ramendra Dutt, Akuila Rova to name few were identified from the Primary School IDC,”Yusuf said. Yusuf said without the contribution and hard work of the teachers from the primary schools football would not had been the major force in Fiji. The Vodafone Fiji Primary Schools Inter District Championship entered its 42nd edition this year since its inception in 1975. 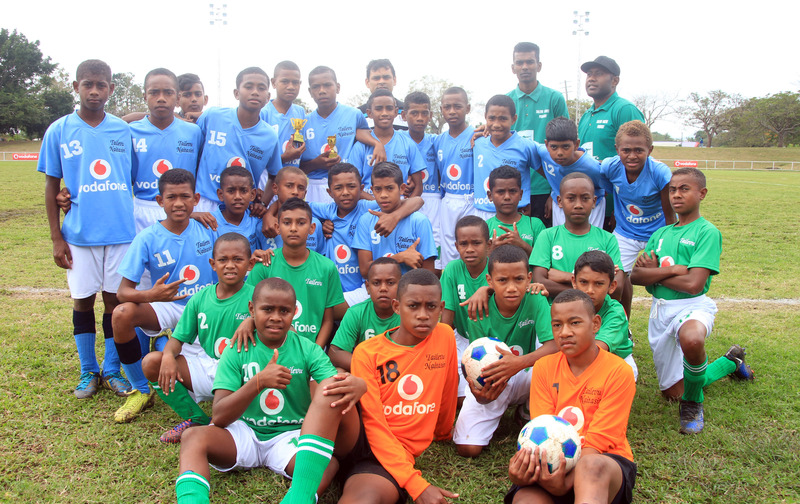 Vodafone Fiji boosted the tournament with $25000 sponsorship with Fiji Football and Fiji FA also gave out $1200 for the four primary school’s girls’ team participating in the tournament. The tournament concludes today at Prince Charles Park in Nadi.